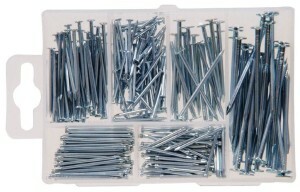 When you buy nails, screws, hooks or many other types of hardware, pay attention to the case they come in. This compartmentalized organizer can be used to store all your flash memory so you’ll never lose it again! I emptied the above box of nails years ago, and I’ve employed the case in holding all the USB and SD flash memory I’ve accumulated since. Quick backstory. Before these six slots found their way into my life, I was buying, then quickly losing, at least 1 USB flash drive every year. Now I always know where to find each and every gigabyte. Good news: you might already have some of these cases lying around! I showed my case of flash memory to friend who decided he wanted one just like it. It took him less than 5 minutes to find 2 nearly empty ones in his garage. Best of all, hardware is sold cheap and the case is thrown in essentially free. 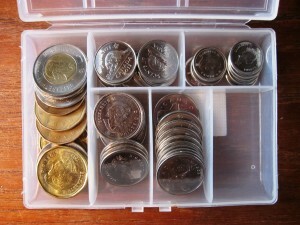 You can expect to pay around $5 for a case stuffed with various hooks or nails. Commercial SD card holders will cost twice as much, and usually only fit one type of flash memory. Most hardware cases have convenient longer slots that fit USB drives, and smaller slots for other formats like xD, microSD and miniSD. Here are some items I found online that come in these exact compartmentalized cases. Not Just for SD Cards! 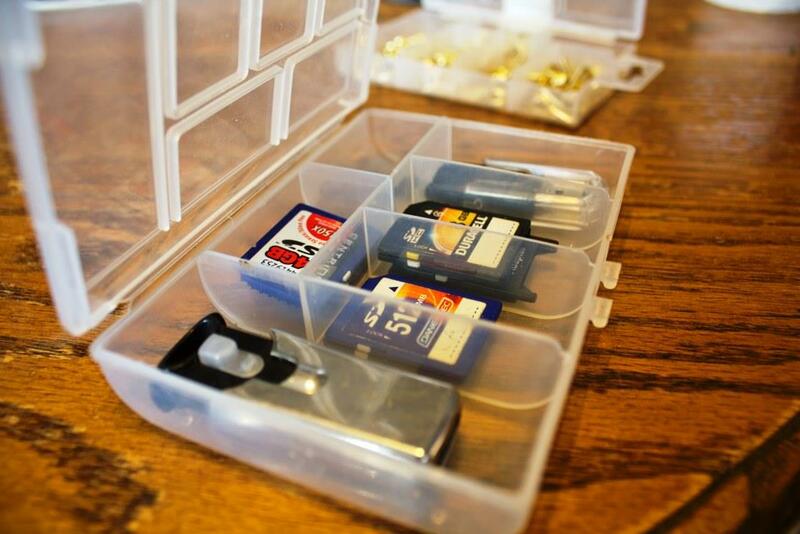 You’re not limited to storing SD cards – these compartmentalized cases hold anything else small and prone to losing. Think prescription pills, jewelry or even small change. Very useful storage box, and the funny thing it can be used for many things rather than sd cards. Should have added more information re. 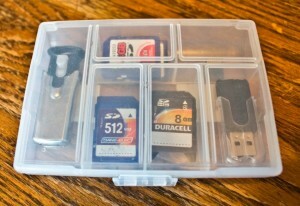 storing sd cards in razor blade cases. Secure the cards in the cases by wrapping with an elastic. Number the cards and make a corresponding index card of the cards’ contents. I stored mine in a self-hanging fit-bit box which was the perfect fit.